Token oval-shaped ceramic-core resistors feature a low profile to permit installation in spaces with height restrictions. They are also equipped with integral mounting brackets so they can be fastened to a chassis and stacked in locations with limited surface area. When properly fastened, the mounting brackets add a heat sinking benefit resulting in a smaller size per watt. Durable ZR flat resistors are fully welded and coated with lead free non-flammable resin. 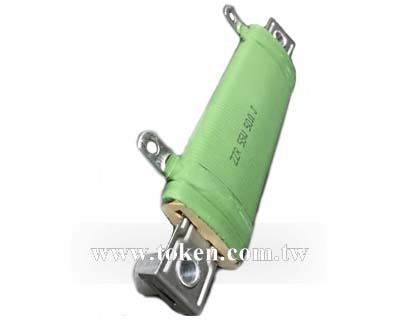 ZR resistors are suitable for educational modeling applications, load testing, industrial machinery, electric power distribution, instruments, automation control installations, etc. The ZR Series is RoHS compliant and lead free. 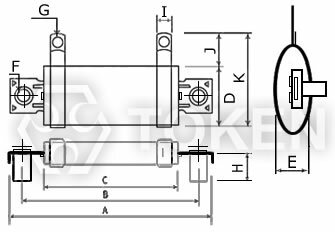 For non-standard technical requirements and custom special applications, please contact us. Downloads Complete Specification in PDF Flat Wirewound Stackable Power Resistors (ZR). 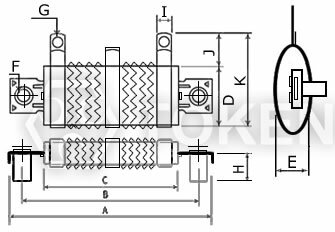 Standard winding and non-inductive winding avaiable. 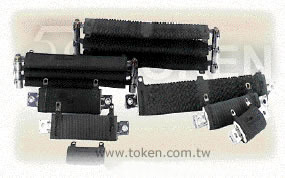 High power rating, strong flat stackable construction. 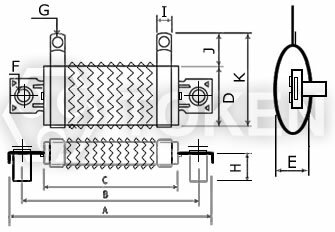 Ayrton Perry type non-inductive winding is available. When required add "N" to the part number. When resistors are stacked, use washers or spacers as required to insure clearance and improve power dissipation. 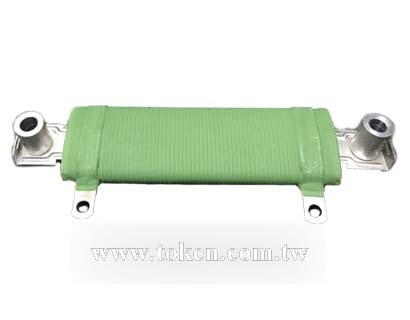 (ZR) resistor is a flat tubular ceramic rod has two terminals and is wirewound with either copper wire or chromium alloy wire as a resistance element. Mainly utilized for industrial installations where height is limited. Features excellent windings, taps adding, low impedance, and PC board insertable.